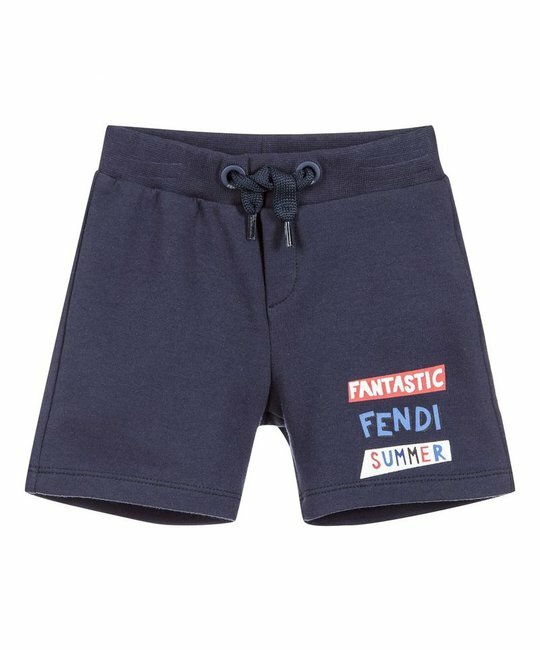 Fendi navy soft cotton jogging shorts with multi-colour print at knee. 100% Cotton. Made in Italy.